All wedding table name signs are crafted by hand using materials of the highest quality. Neutral in design, they will compliment all collections within our wedding stationery range and are available in all colour combinations. 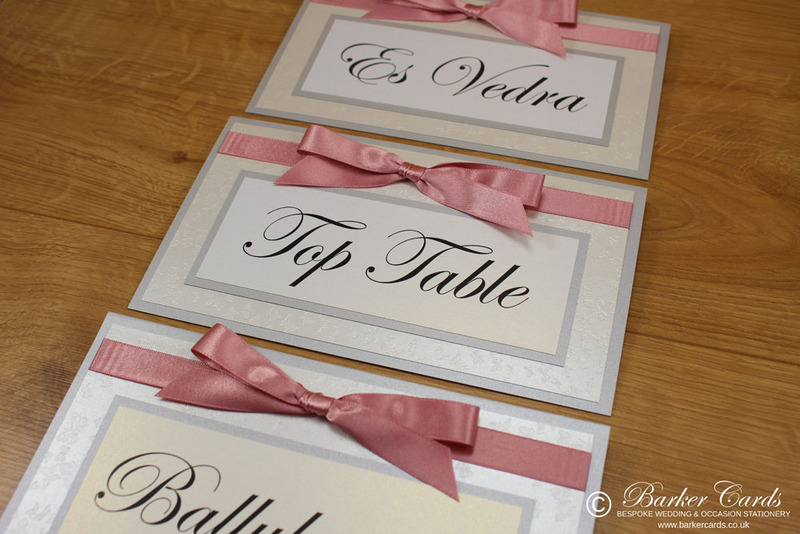 All wedding table name signs are made using beautiful 285gsm pearlescent card, luxurious satin ribbon and are Double sided. We're also very happy to design wedding table name signs especially for you, if you would like something a little different to complete the unique style of your big day. and to order using product code TN09.